No, it's not because they recently employed Professor X (dude's got his own business, DUH) -- Pizza Hut claims that they're working on a new menu that'll track your eye movements in order to predict what you want... before you even know it. Gone are the days spent laboring over the decision between extra cheese and extra extra cheese! 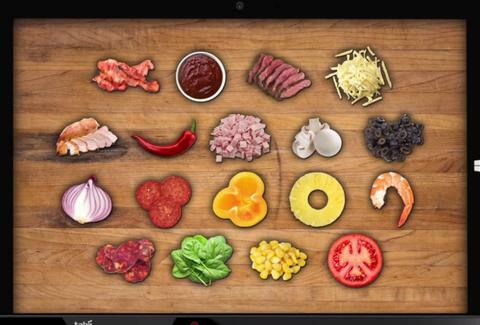 By using a tablet equipped with Tobii eye-sensor technology, the new menu calibrates to your eyes and then displays the 20 most popular pizza toppings. Then, by sensing where your attention most frequently settles and throwing it into an algorithm, it shows you what kind of pie you truly want. They're calling it the "Subconscious Menu", and it took six months of work to get right. But they're feeling confident about it. Pizza Hut says that trials of the new menu have been 98% successful so far. The plan is to roll the technology out among its branches when it's fully ready... right after it's given Professor X a run for his money. Adam Lapetina is a Food/Drink staff writer for Thrillist, and wants extra cheese. Read his musings at @adamlapetina.